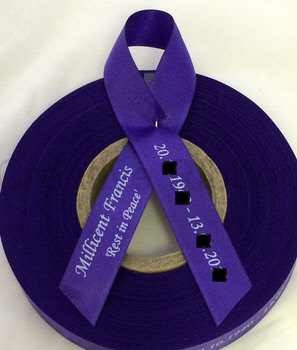 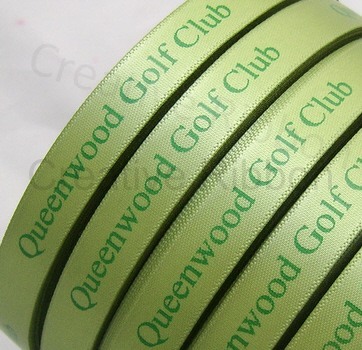 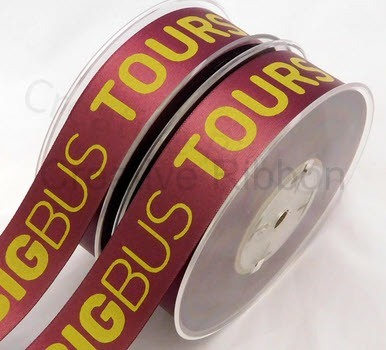 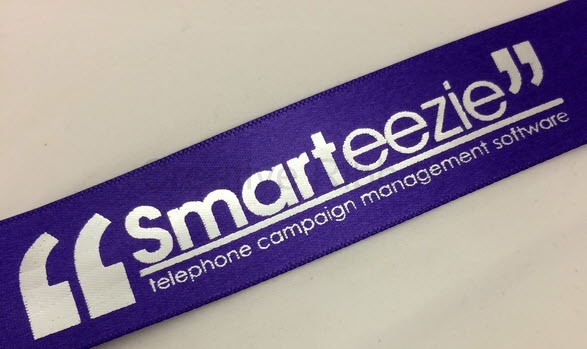 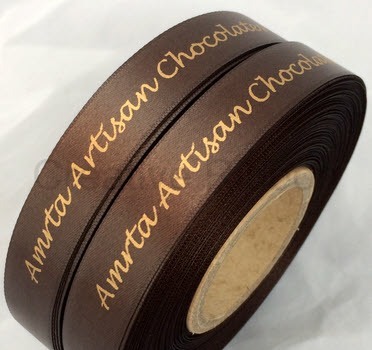 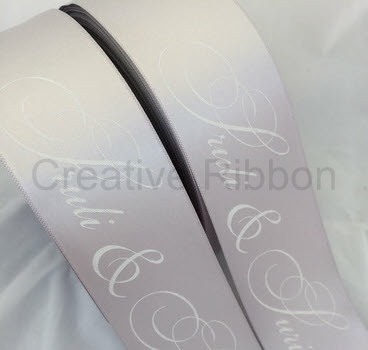 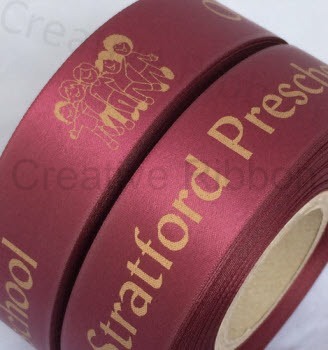 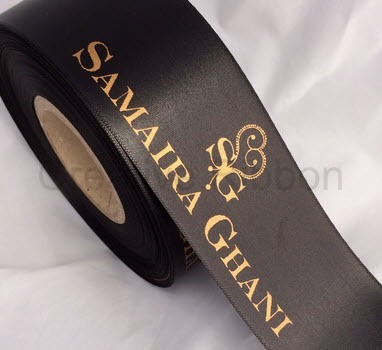 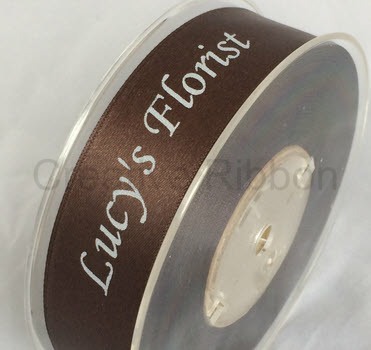 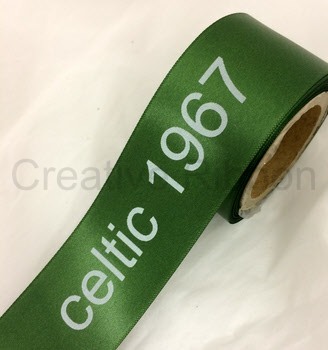 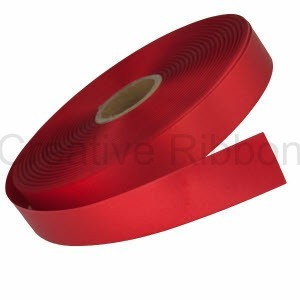 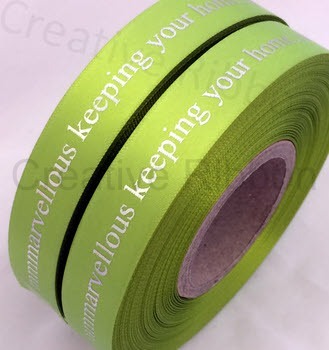 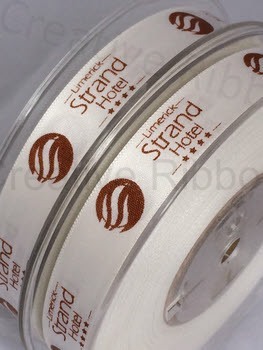 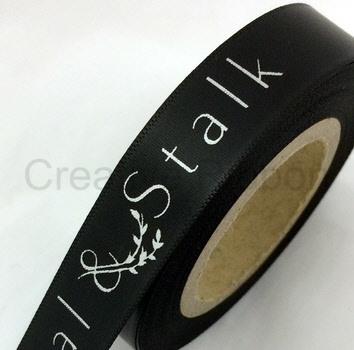 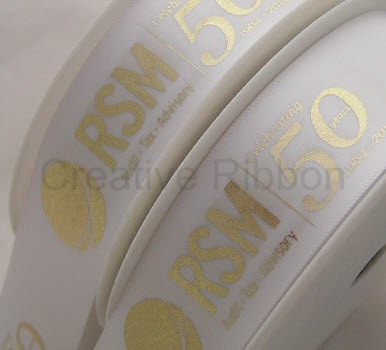 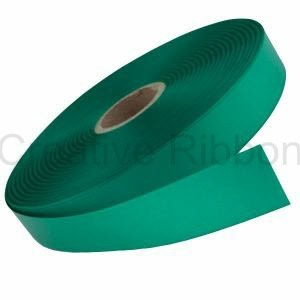 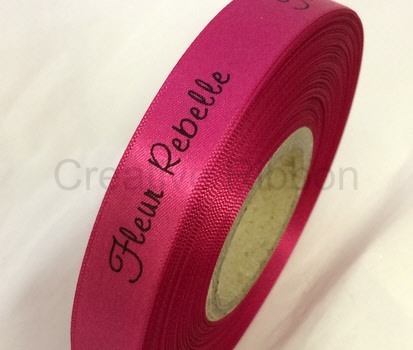 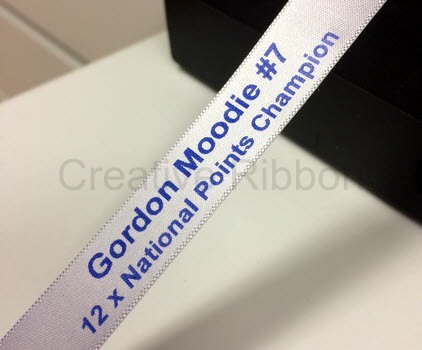 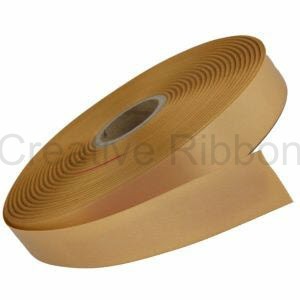 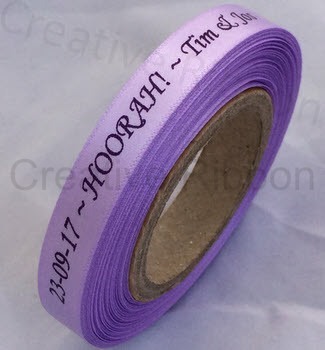 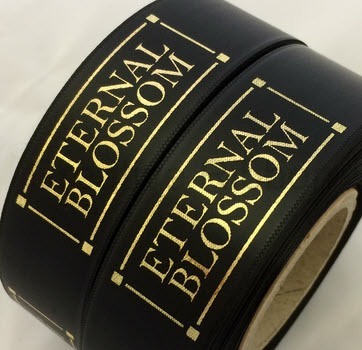 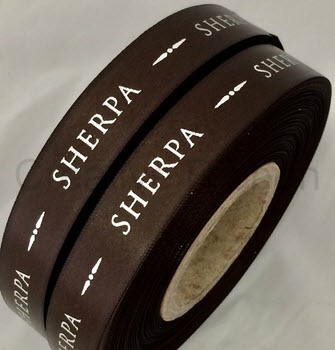 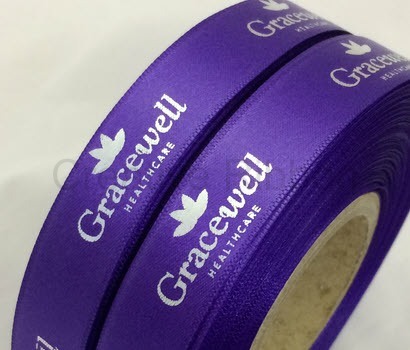 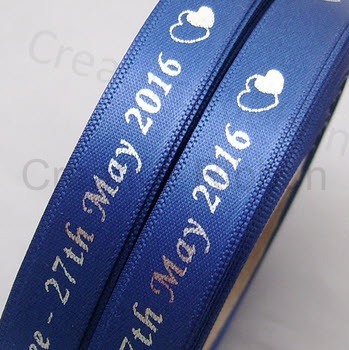 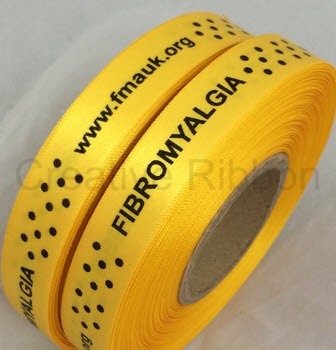 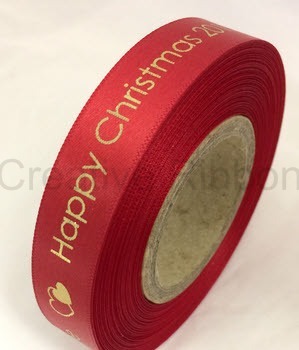 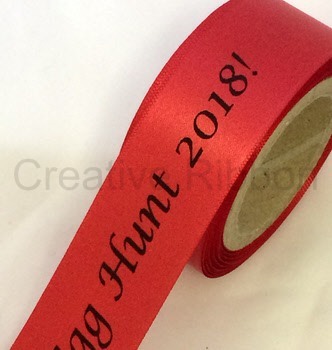 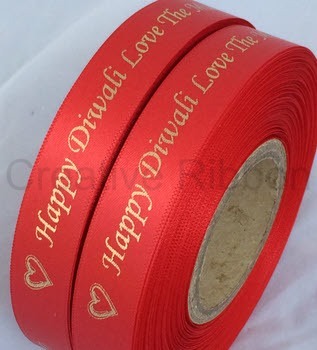 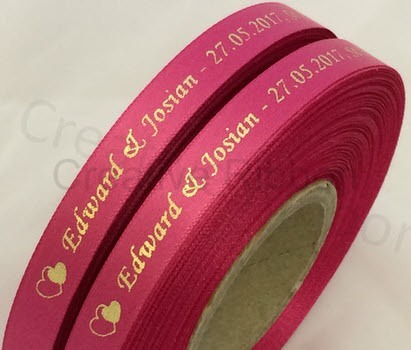 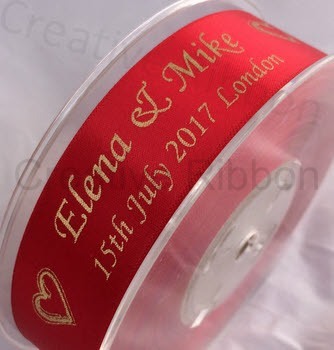 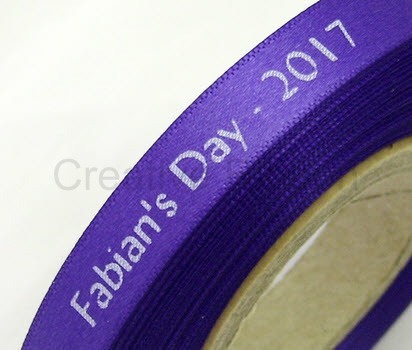 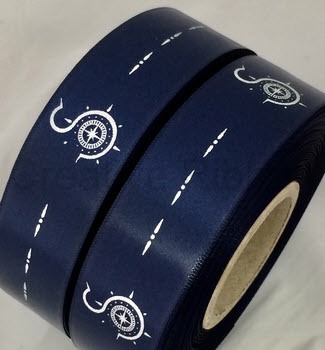 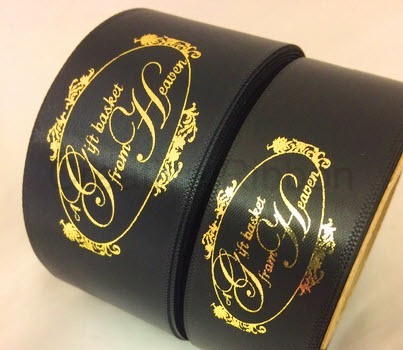 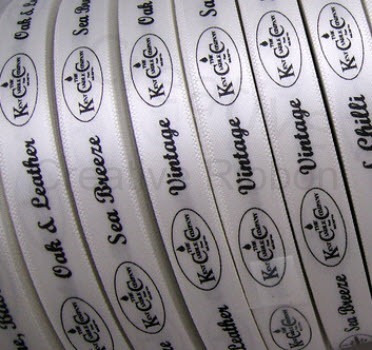 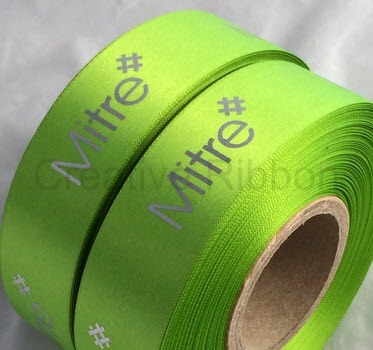 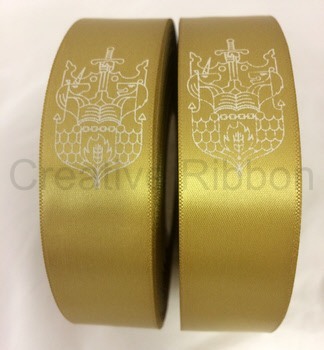 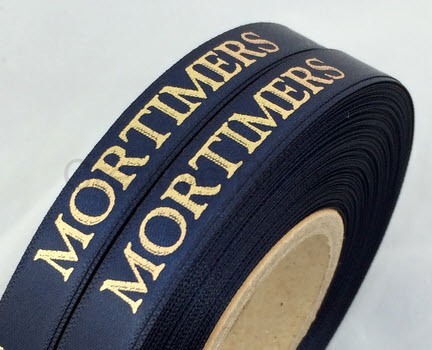 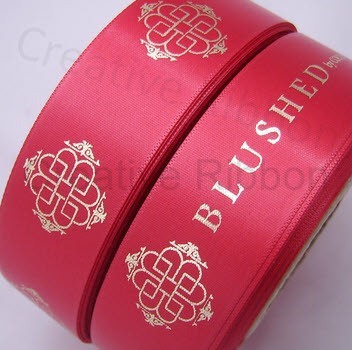 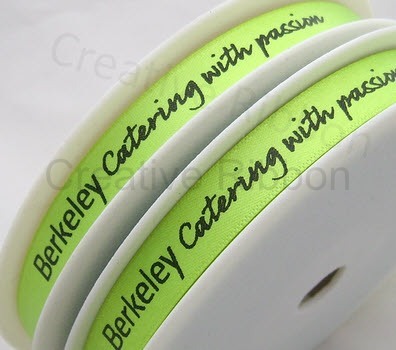 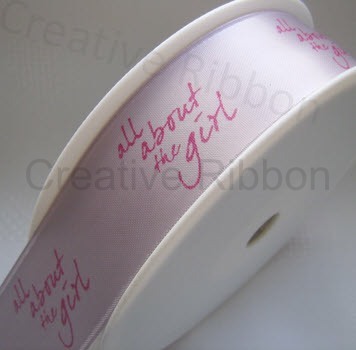 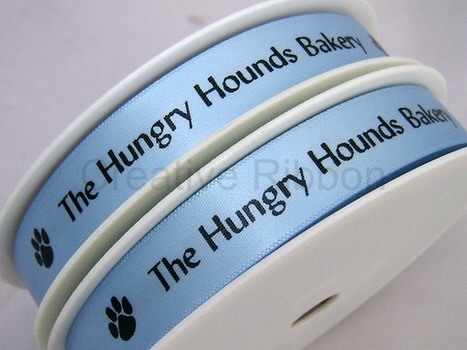 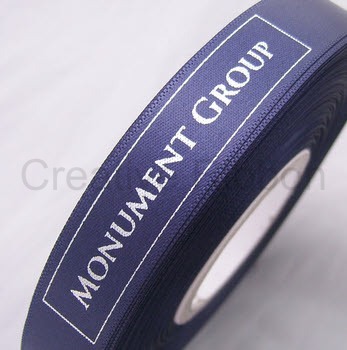 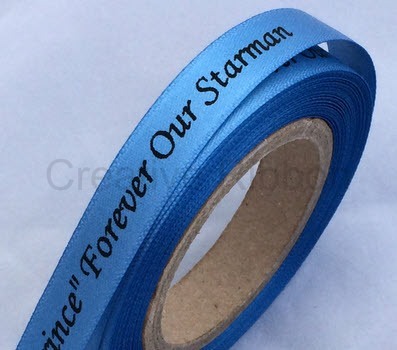 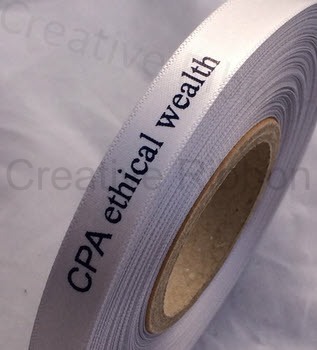 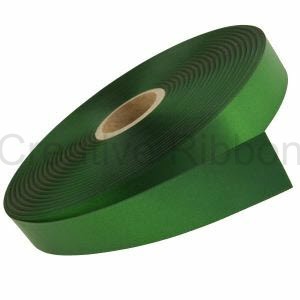 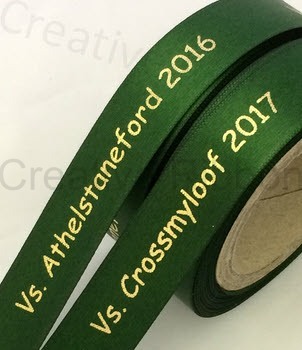 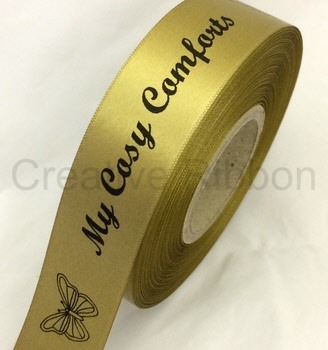 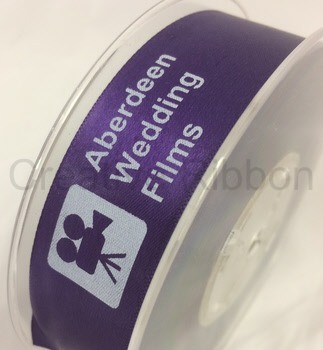 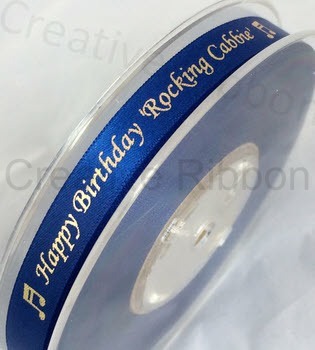 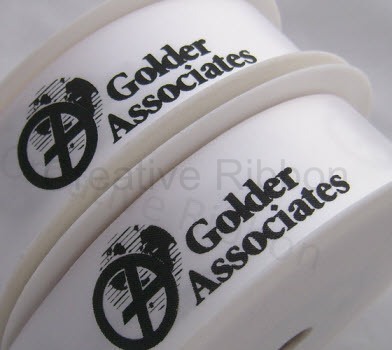 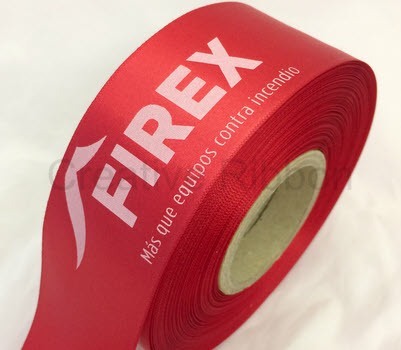 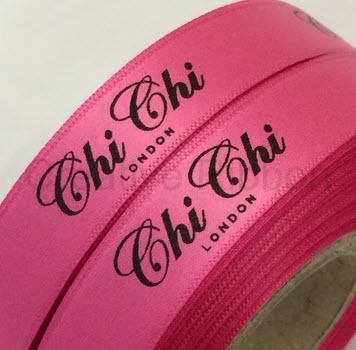 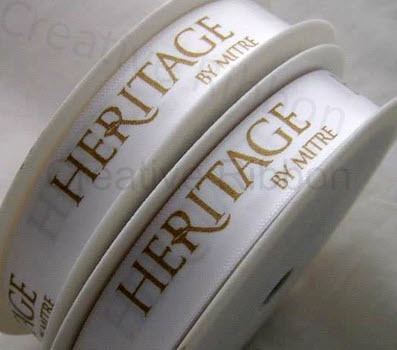 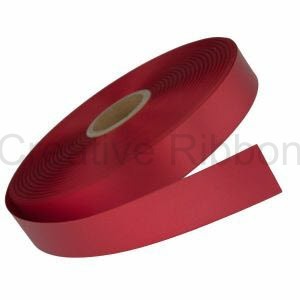 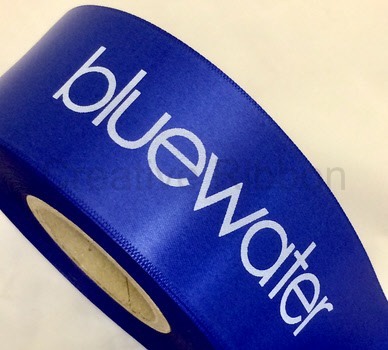 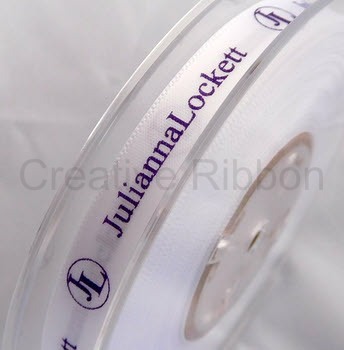 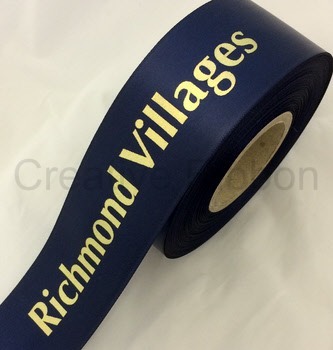 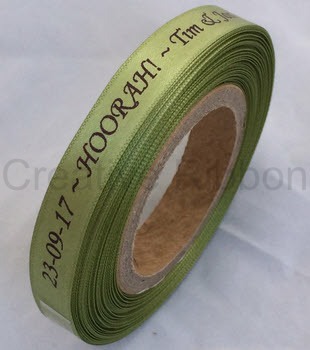 With Creative Ribbon, all businesses can enhance their product marketing with the ability of printing their design in one colour on to our range of beautiful satin and polyester ribbon colours. 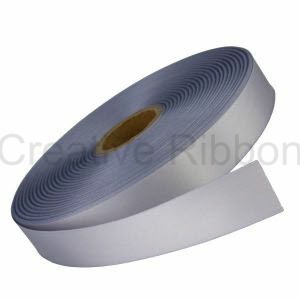 All with low minimum quantities and competitive pricing. 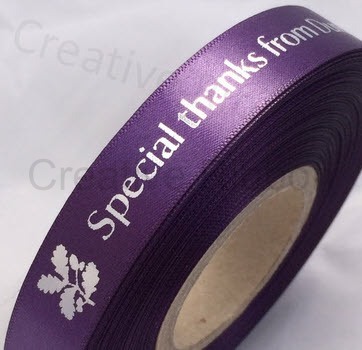 We offer a personal service including a design proof and quote service before you go ahead with your order. 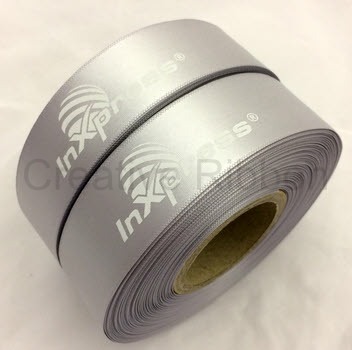 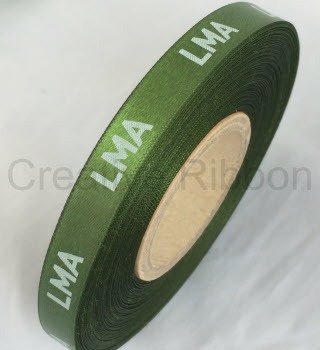 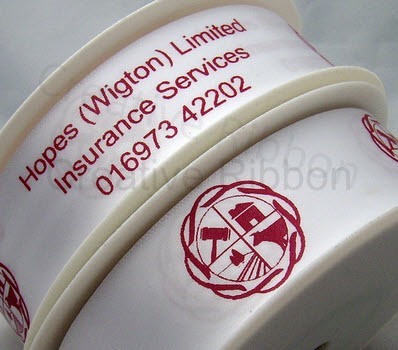 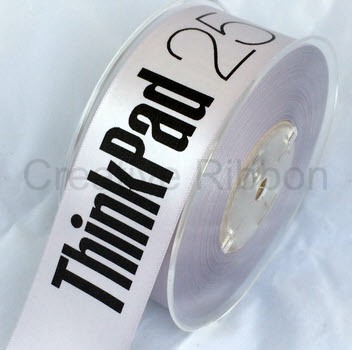 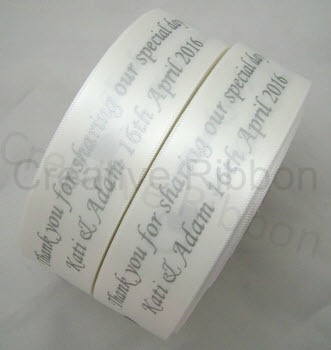 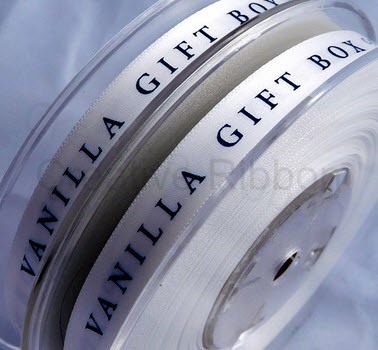 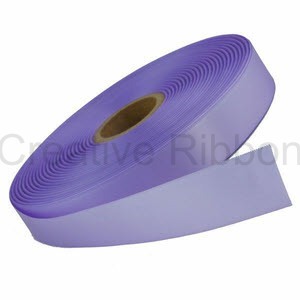 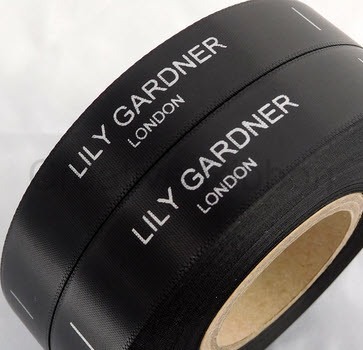 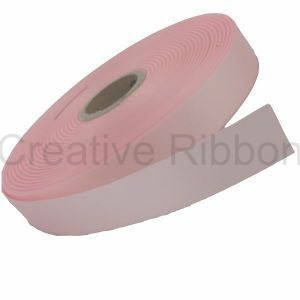 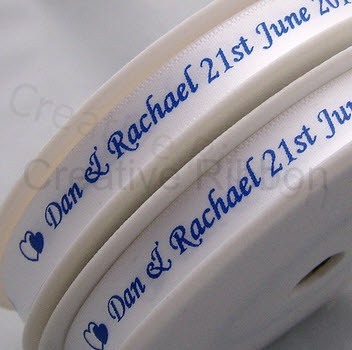 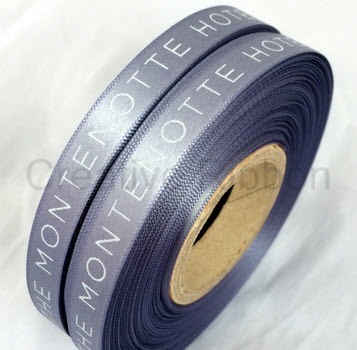 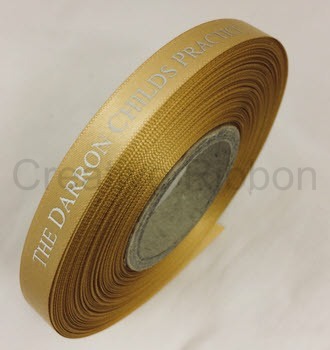 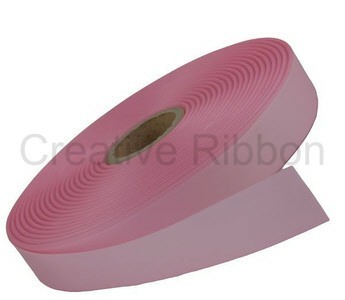 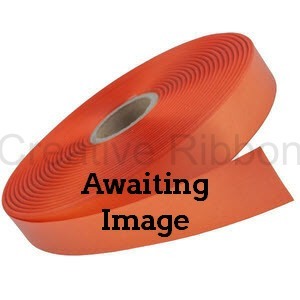 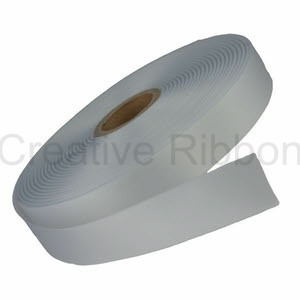 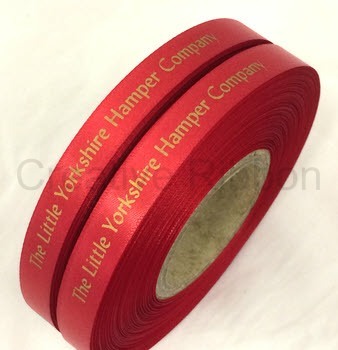 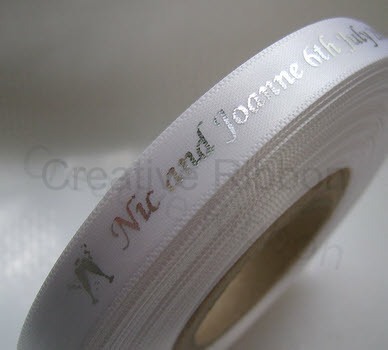 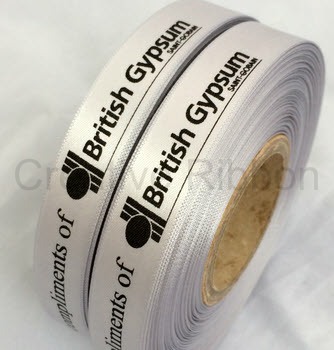 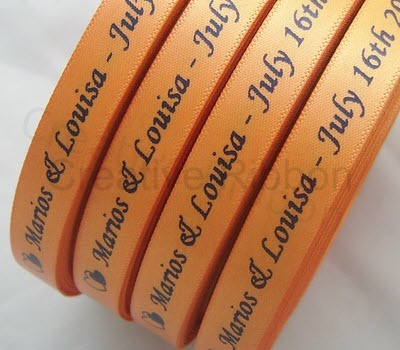 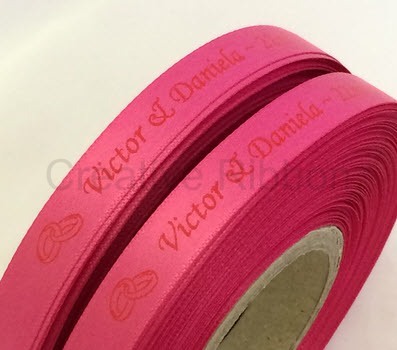 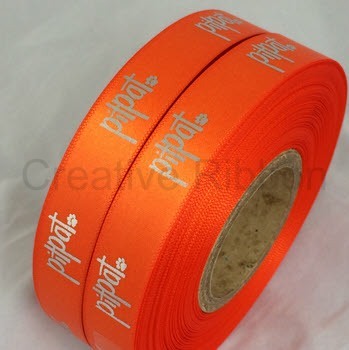 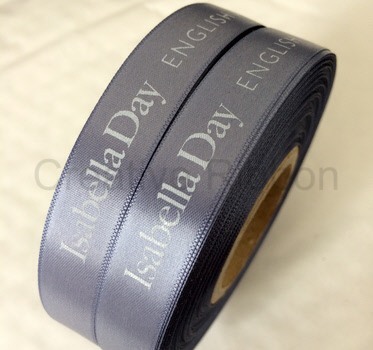 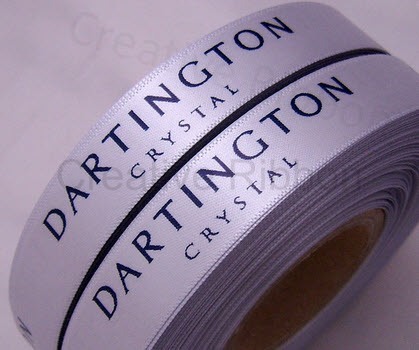 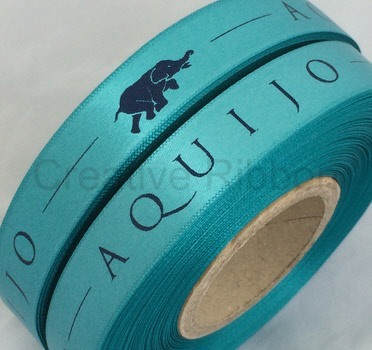 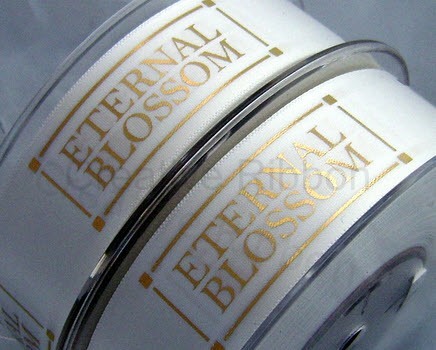 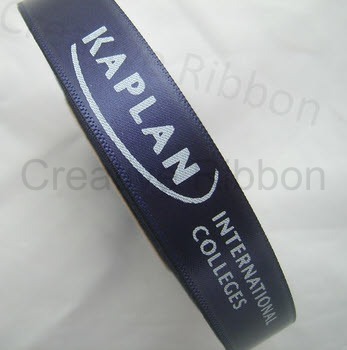 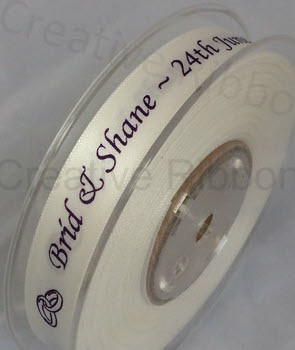 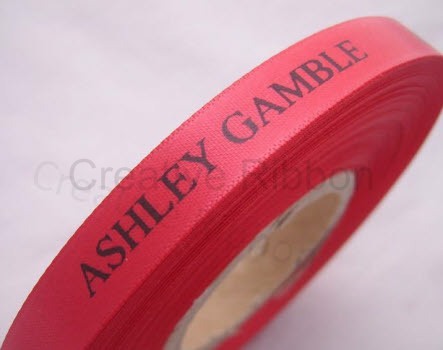 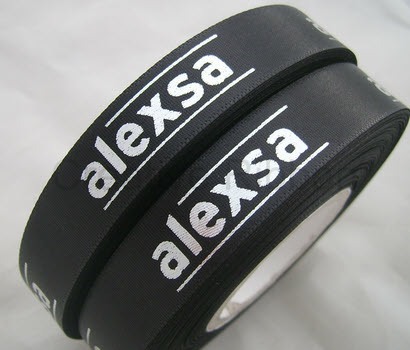 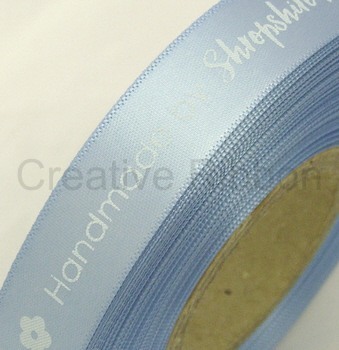 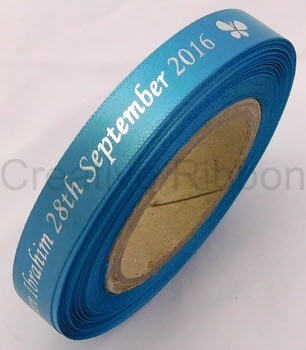 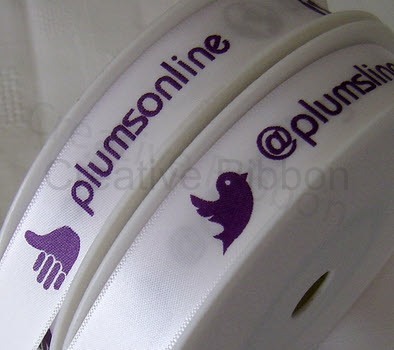 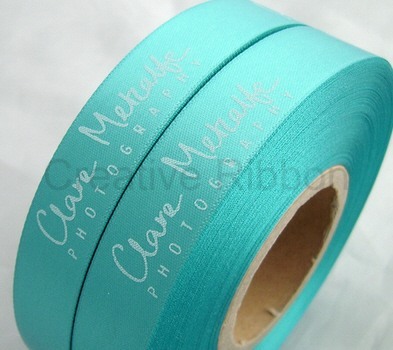 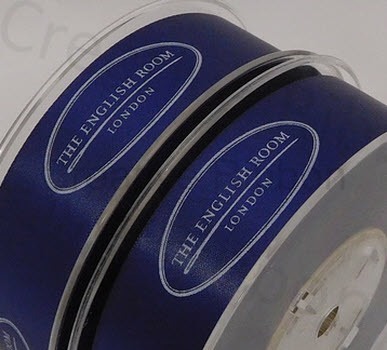 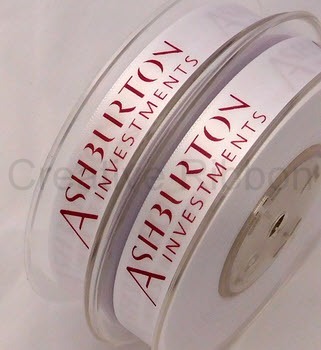 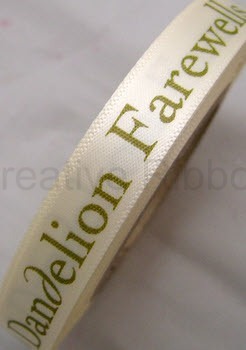 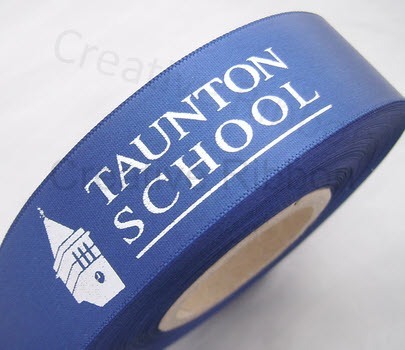 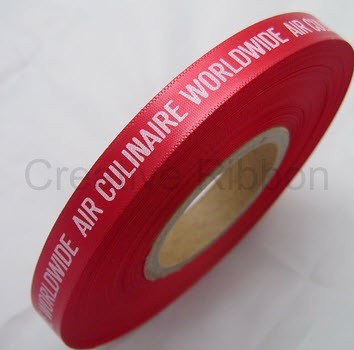 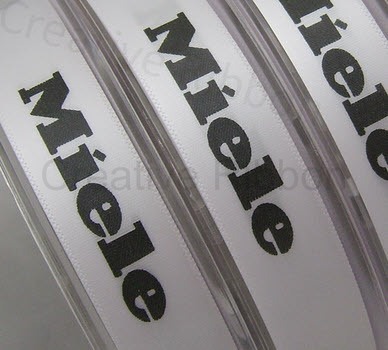 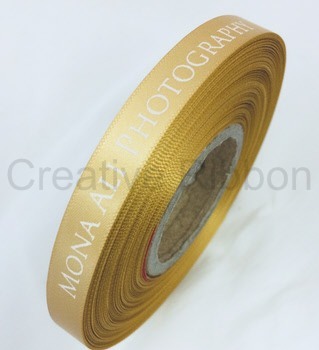 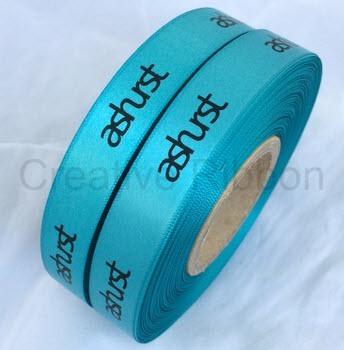 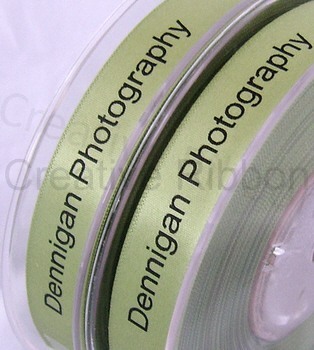 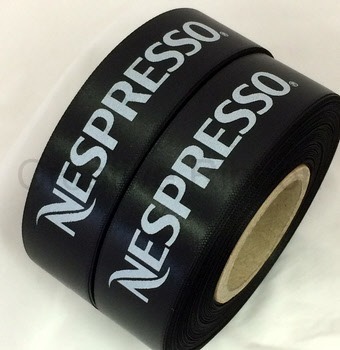 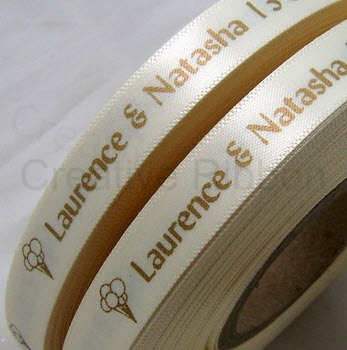 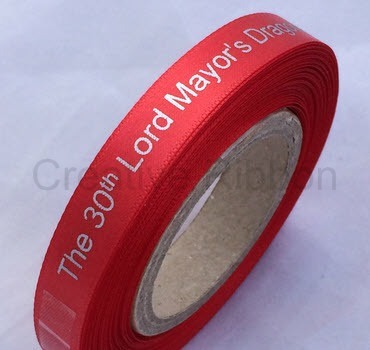 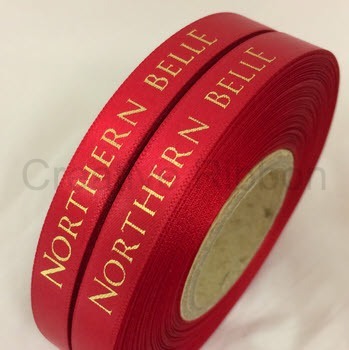 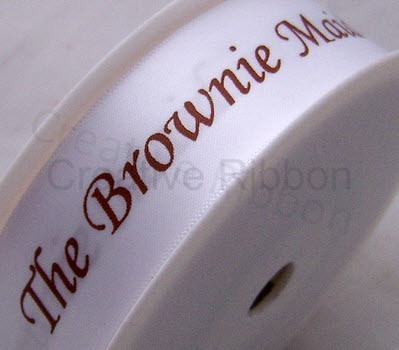 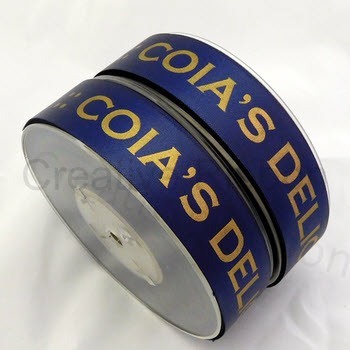 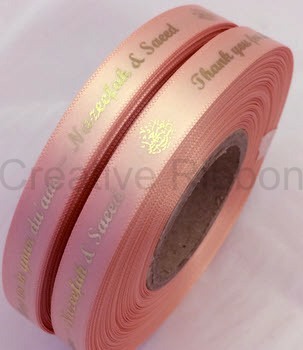 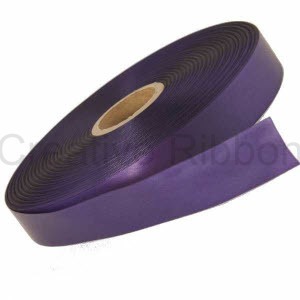 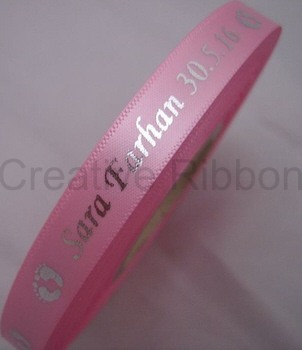 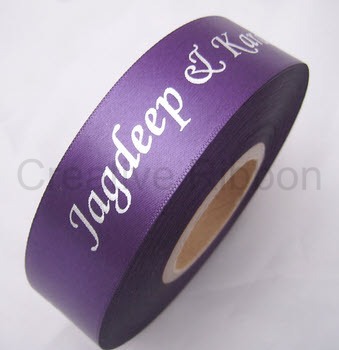 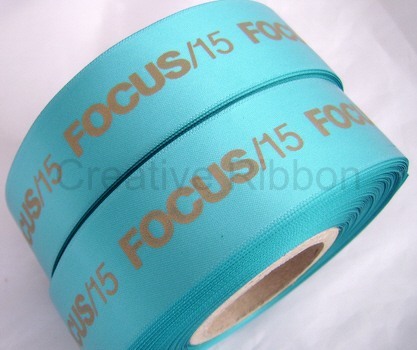 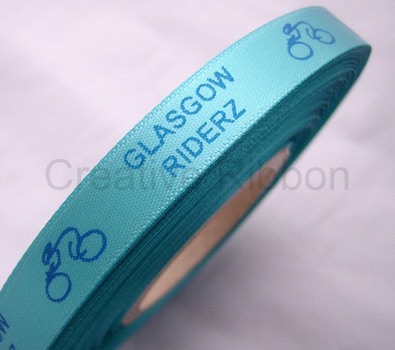 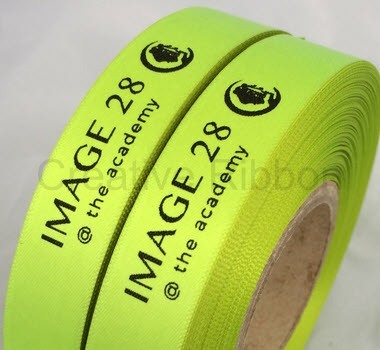 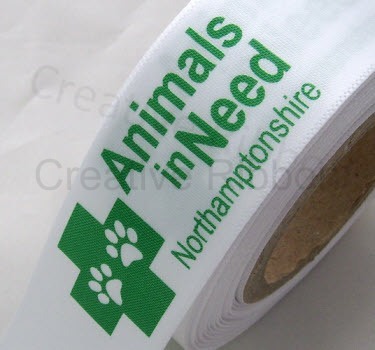 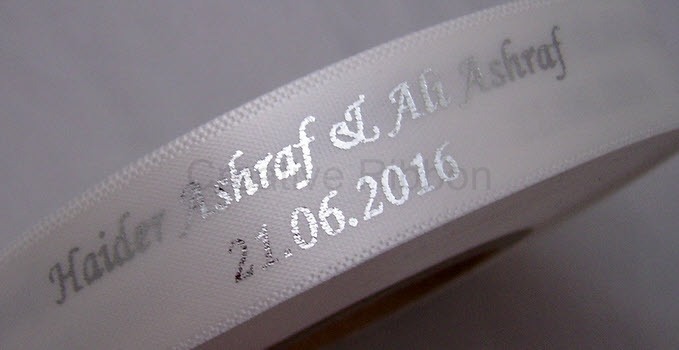 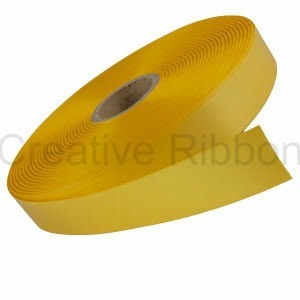 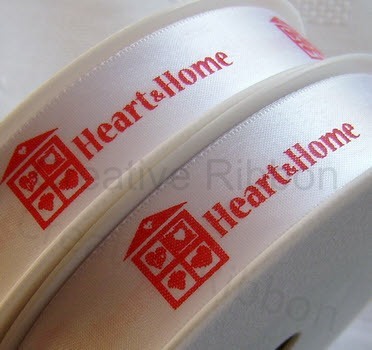 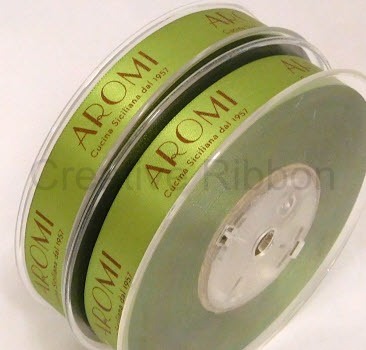 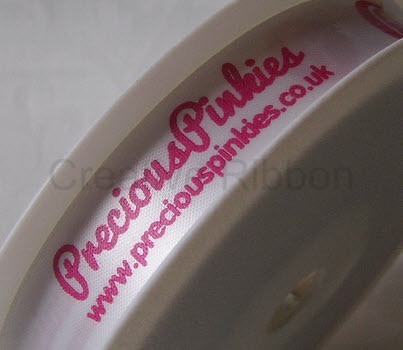 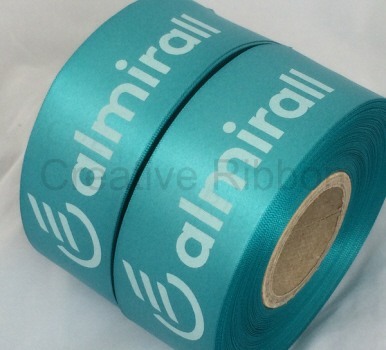 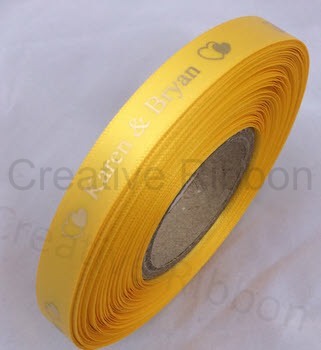 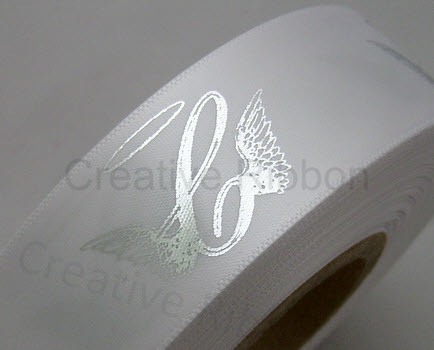 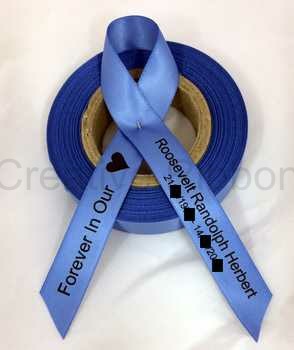 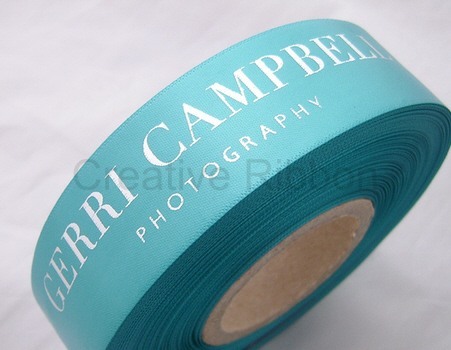 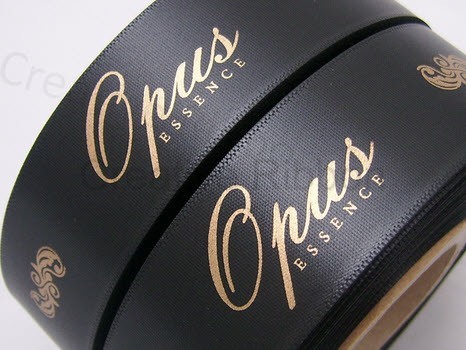 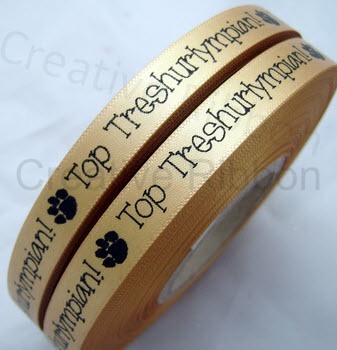 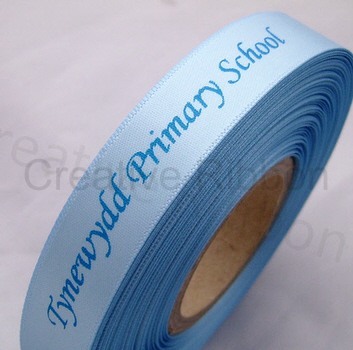 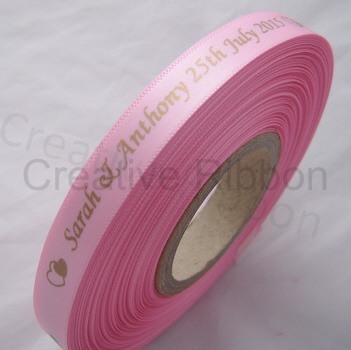 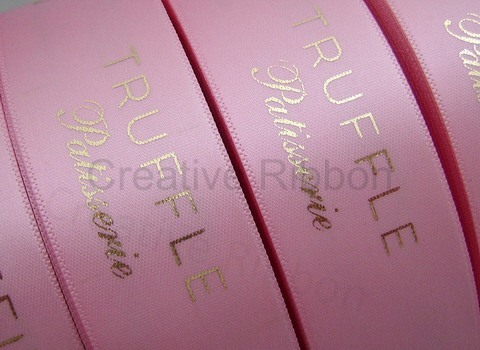 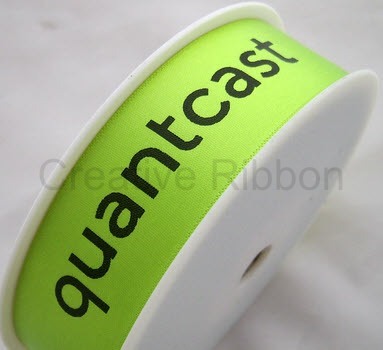 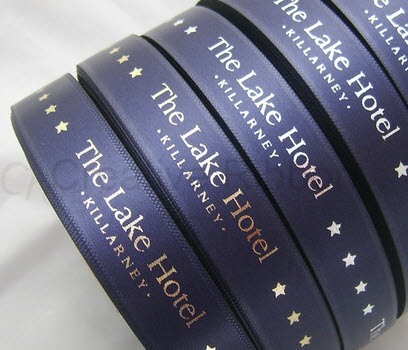 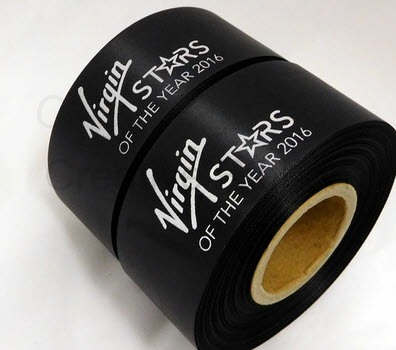 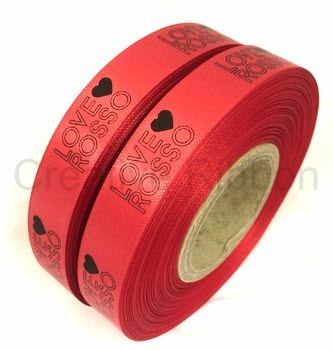 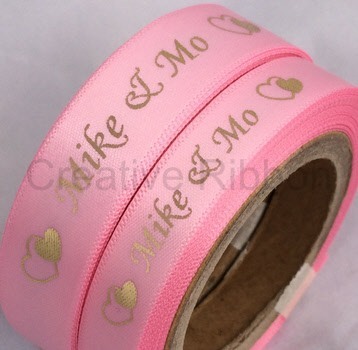 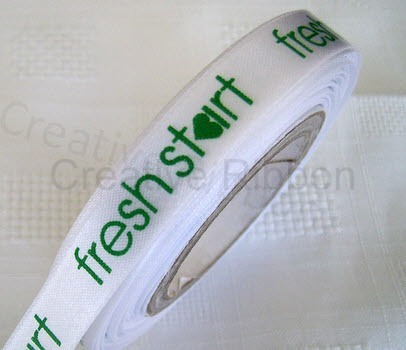 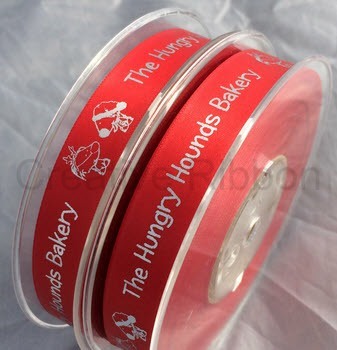 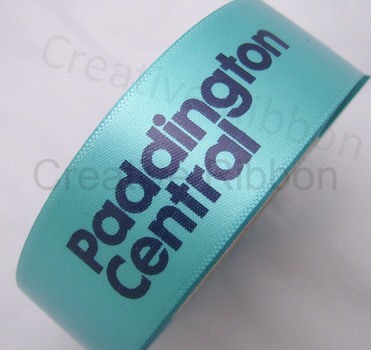 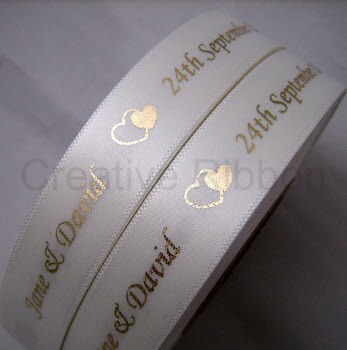 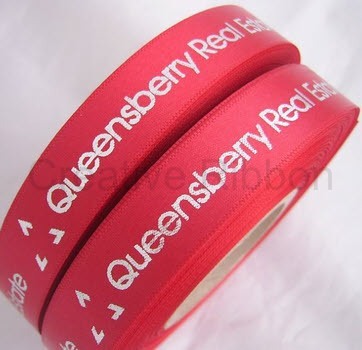 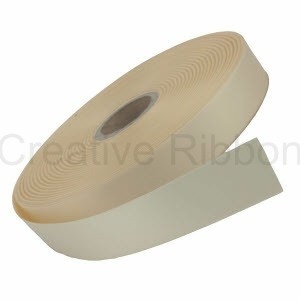 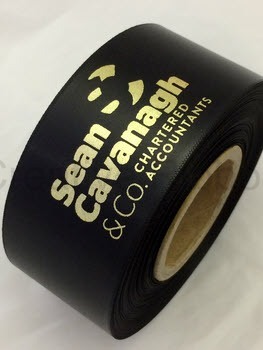 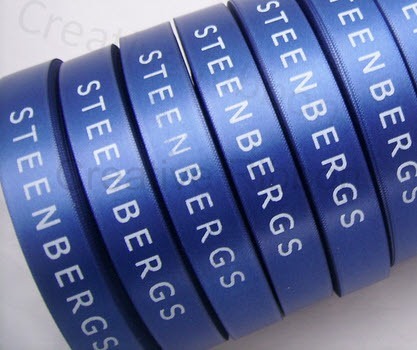 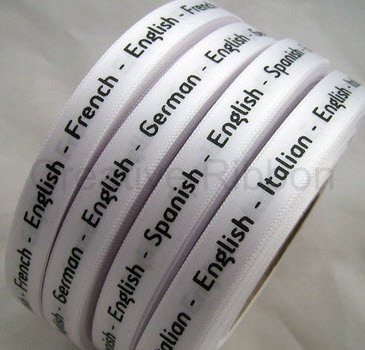 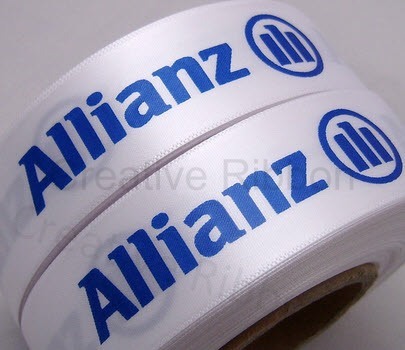 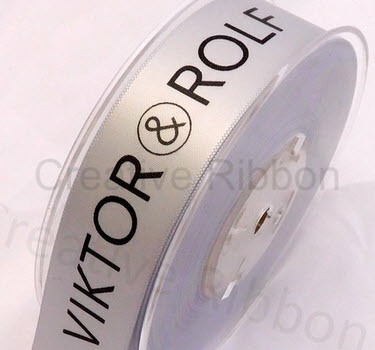 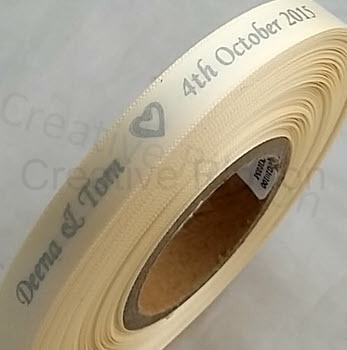 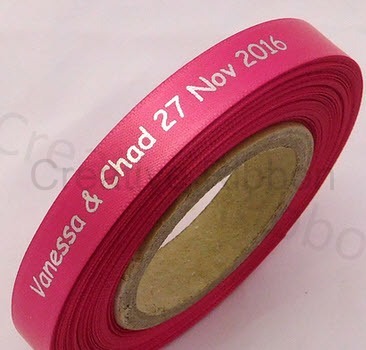 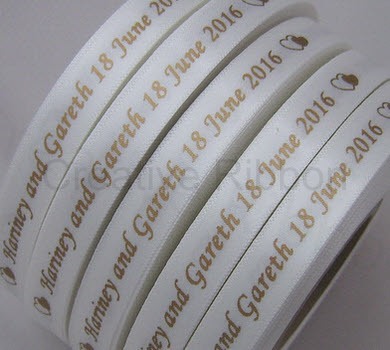 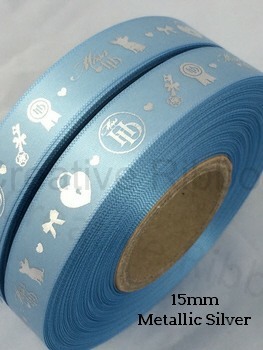 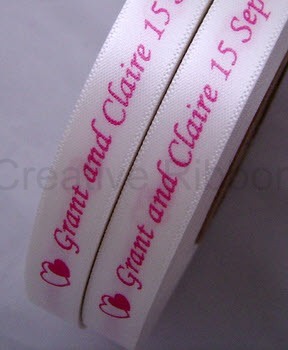 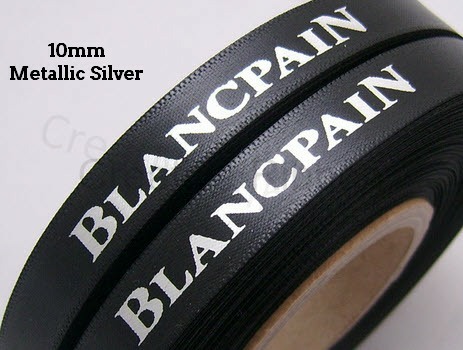 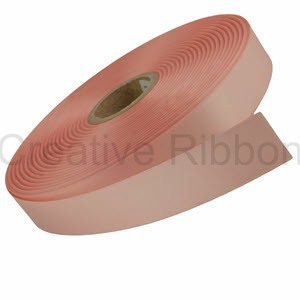 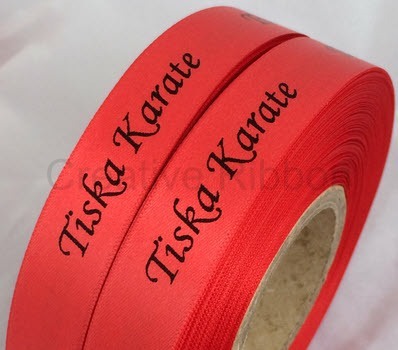 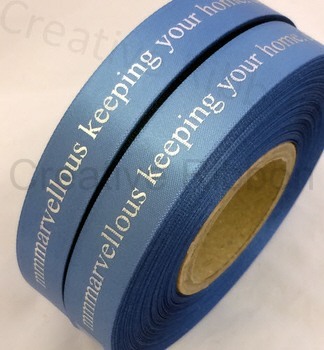 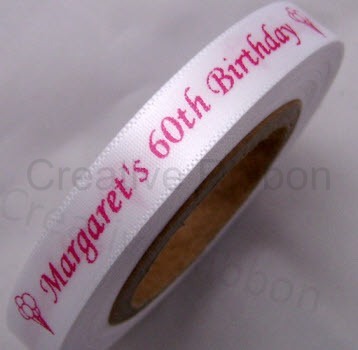 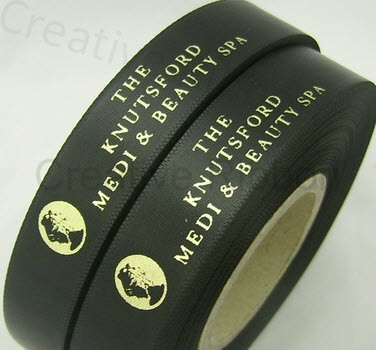 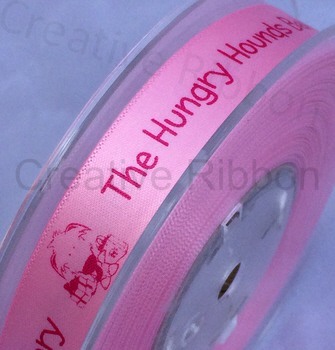 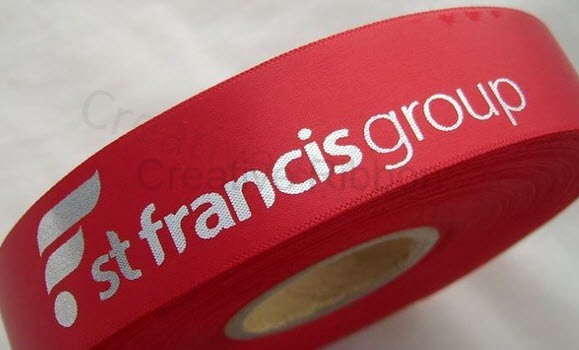 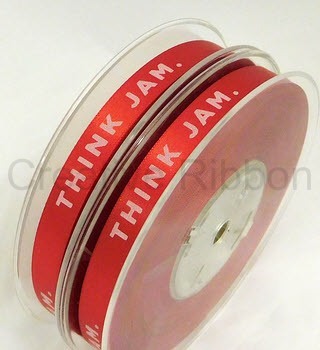 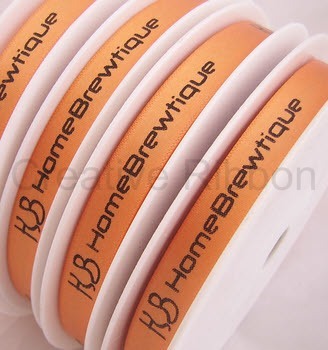 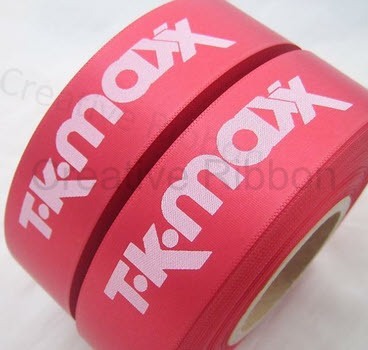 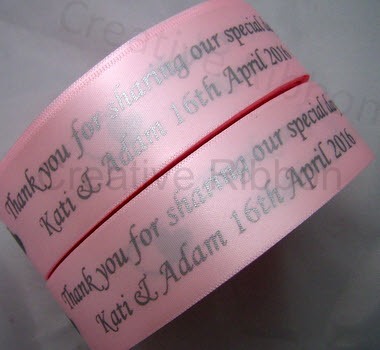 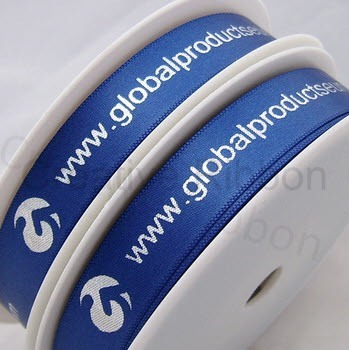 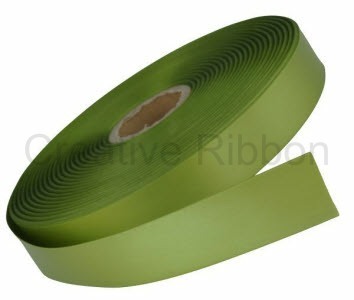 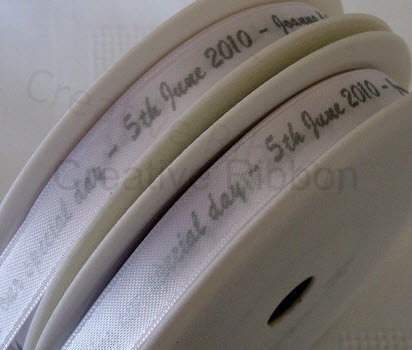 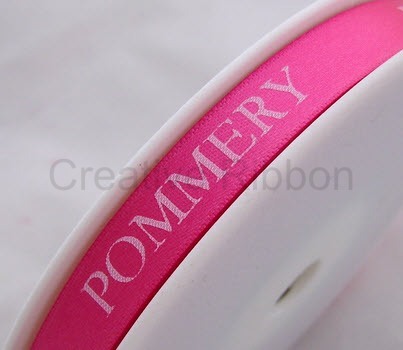 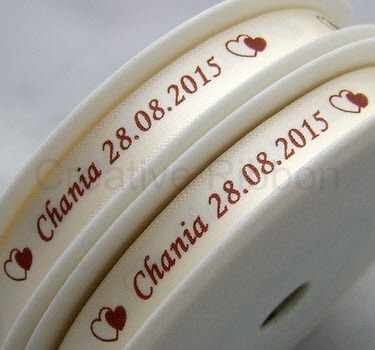 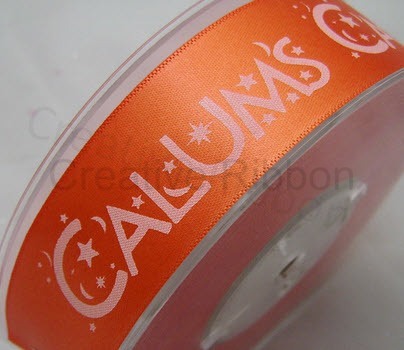 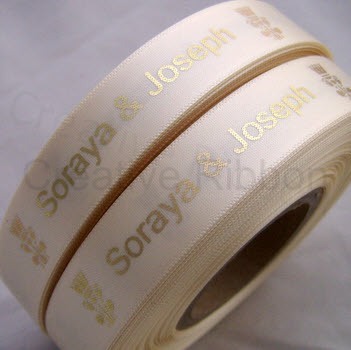 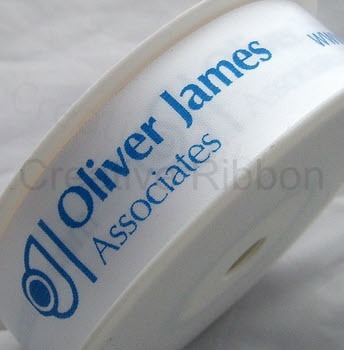 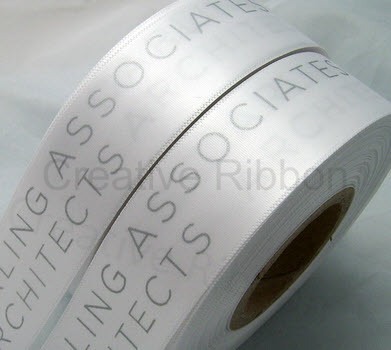 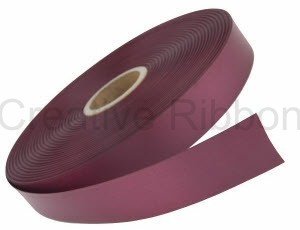 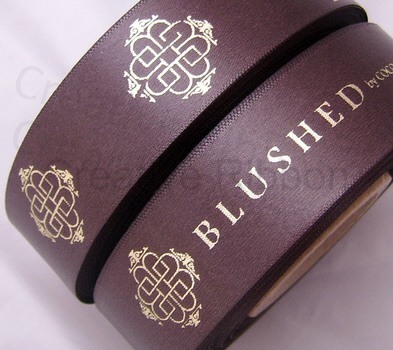 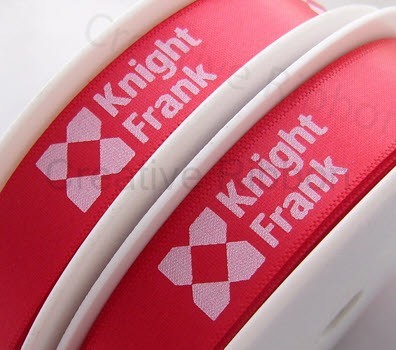 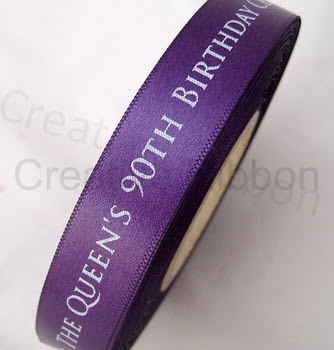 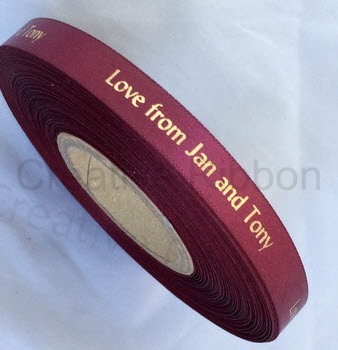 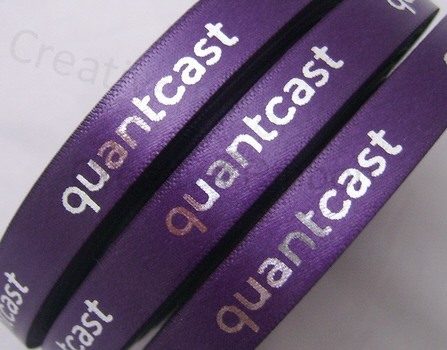 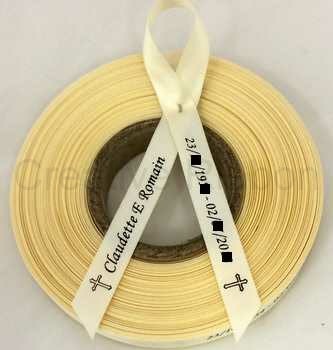 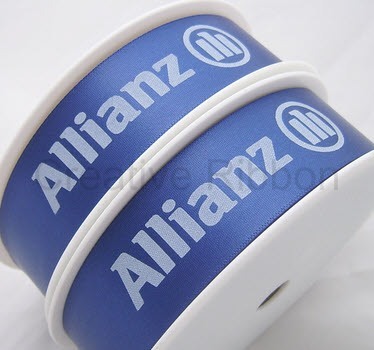 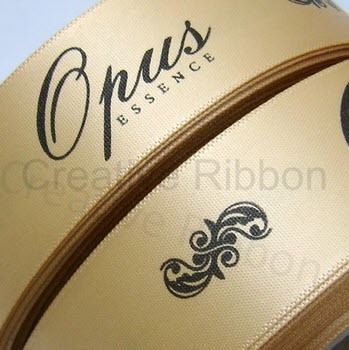 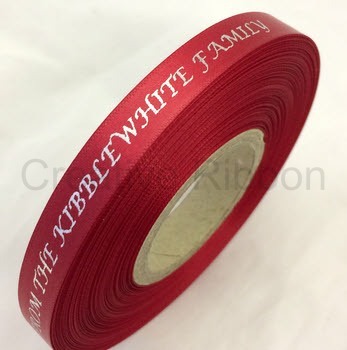 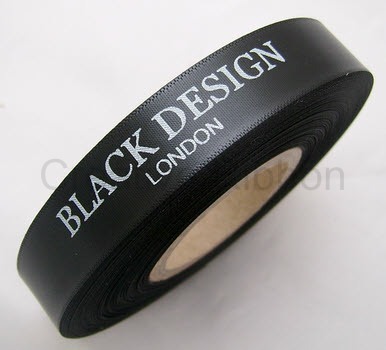 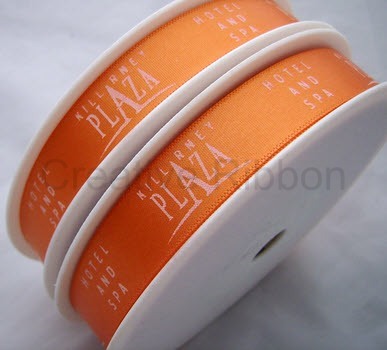 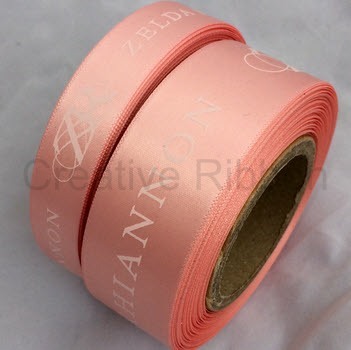 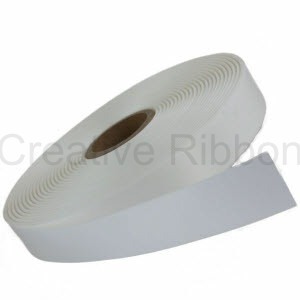 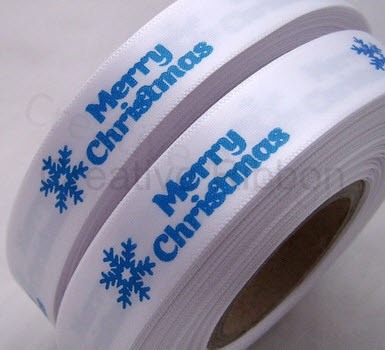 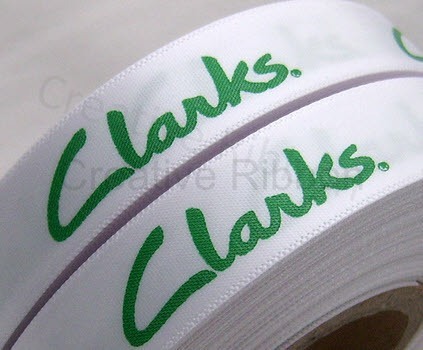 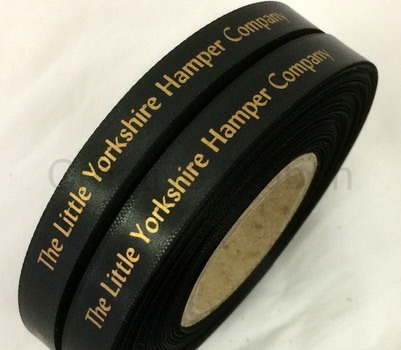 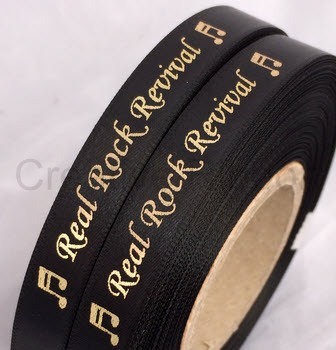 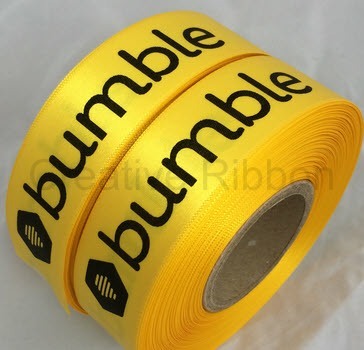 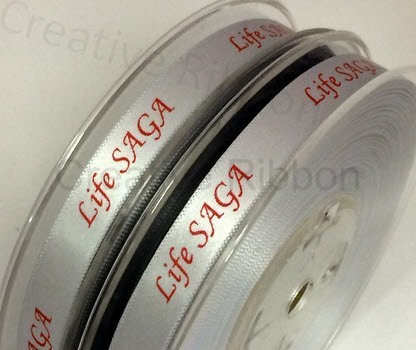 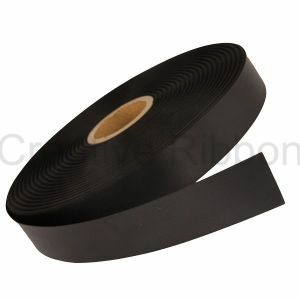 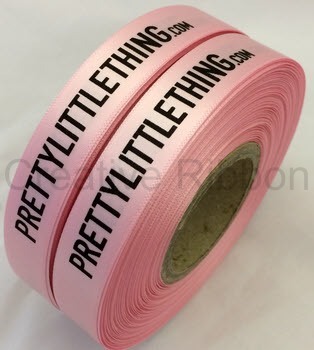 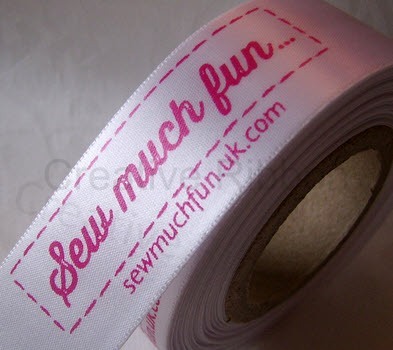 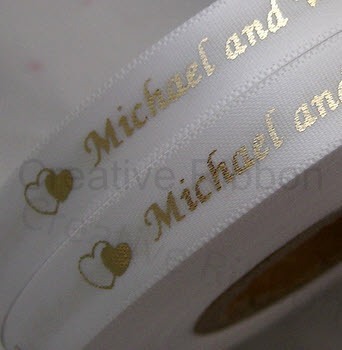 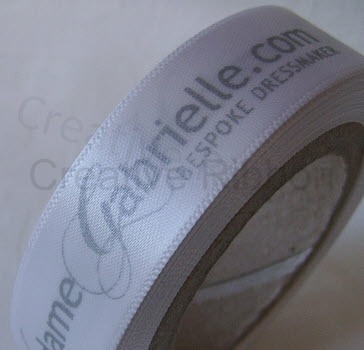 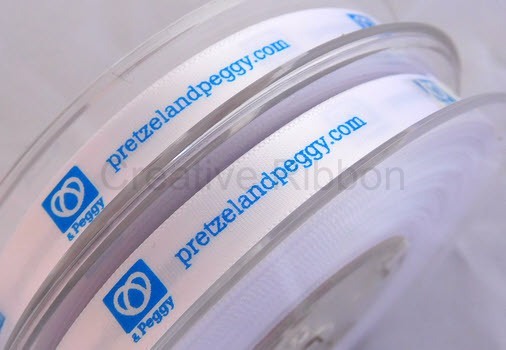 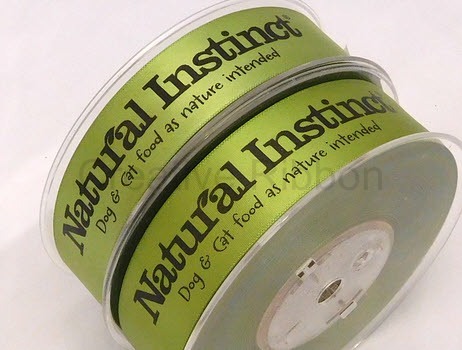 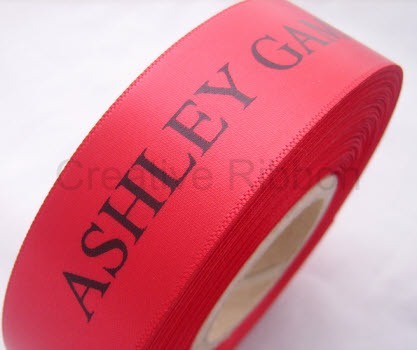 We also offer Pantone printing, two colour printing and personalised grosgrain ribbon printing. 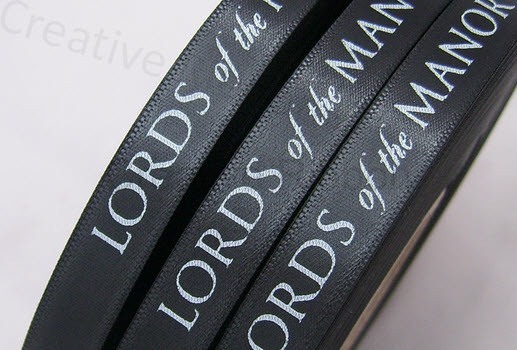 These types of printing do involve larger minimum order quantities. 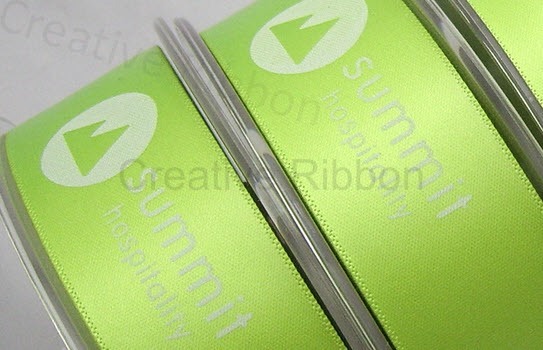 Click to find out more infornation.